Branding: We help you stand out from the crowd and connect with your audience. We work with you to clearly define your organization’s message and positioning. For effective communication, we develop comprehensive identity systems. Working with Paula Scher and her team at Pentagram, we designed the identity for Buddakan, a chic Philadelphia restaurant that specializes in pan-Asian cuisine. 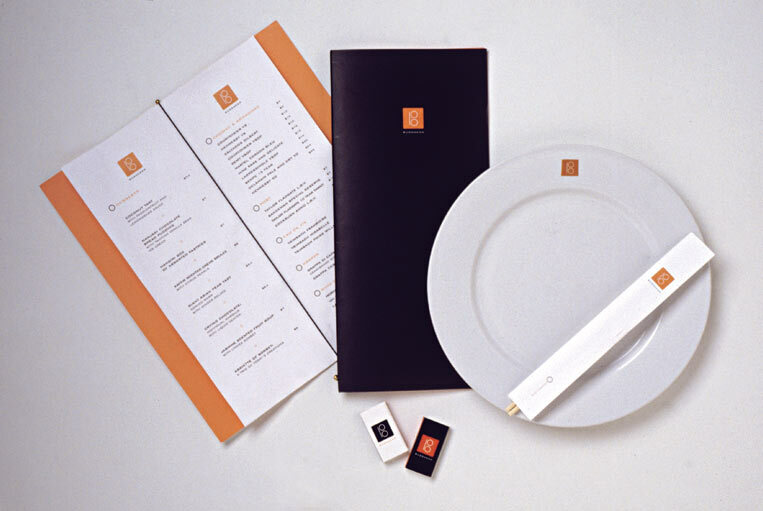 To create an iconic logo, simple shapes inspired by bowls and chopsticks were arranged to form the letter “B.” The program also included the design of menus, matchbooks and other restaurant collateral. © 2012 Li'l Robin Design, Inc.
We'll never sell your information. Promise!